Drain issues are something that no homeowner wants to come across. Firstly, they’re awkward to deal with and secondly, drain maintenance should already be on your list of jobs to complete at least twice a year. If you forgot to snake your drains and clean your gutters this year, you will need the help of the professionals to come in and sort your drains out. Drain jetting is the process of cleaning stubborn substances and oils from pipework, metalwork and cleaning the deep insides of drains that regular pressure washers cannot reach. Drain jetting is the most effective way to clean and clear drains and pipework. There are long jet hoses with a jetting nozzle attached to filled water tanks and these are fed down the drains far deeper than an arm can reach to be able to clean the area. Drain jetting hoses can extend far further than you can reach with drain rods, and they can find their way around the bends in the pipework and the high pressure water can put more force on the blockage and substances that are sticking to the walls of the drain. 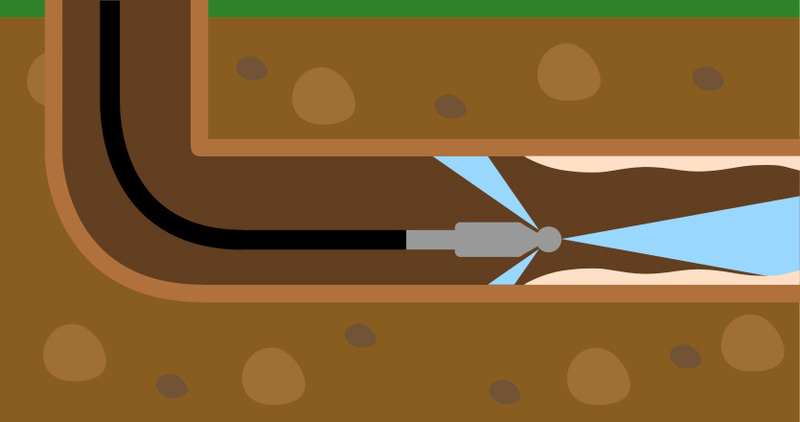 The best thing to know about drain jetting is that almost all drains and all blockages will benefit from it. High pressure washes that you would use on your driveway or car are not the same as the jetting you get from these hoses. These have the power to remove a tree root as well as the blockages caused by a buildup of waste, fat and grease inside the drains. The most important thing to know? Stay out of the way of the flow of water. If drain jetting can cut through a tree root that has grown down and is blocking a drain, imagine the catastrophic effect on the human body! Let’s not test that theory by standing in the way of the jet. Sometimes, drain jetting is done by oil and gas industries to clean substances from pipes and wells that other methods have completely failed to clean. Drain jetting is used by industrial companies, those who manage business properties and can be used in domestic situations, too. Professionals should be the ones in charge of drain jetting, because they are the ones that are fully trained and understand the impact that jetting can have on your home and your equipment. When a qualified drain jetting team come to your premises to work on your drains, they will respect your home and your property. There are strict guidelines when it comes to drain jetting that they will adhere to, including setting up safety zones and ensuring that all those who do not need to be near the jet are in the way. It’s the best way to clear right through the debris and blockage in your drains, and it prevents the professionals from having to dig out the pipe. It’s also fantastic for the environment, because there are no chemicals or bleaches involved. Drain jetting is purely water at a very high force doing all the cleaning. It’s the fastest and most economical way to clean your drains without dumping chemicals into the system. Quick route to the problem in your drains. 1st Clear Flow offer a drain jetting service in the Sussex area, and if you need the professionals to come and check out your drainage issue, you should call us today. Our experienced team are on hand to help and you can get your drain jetting appointment booked in as soon as possible. We can take care of the blockage in no time at all.